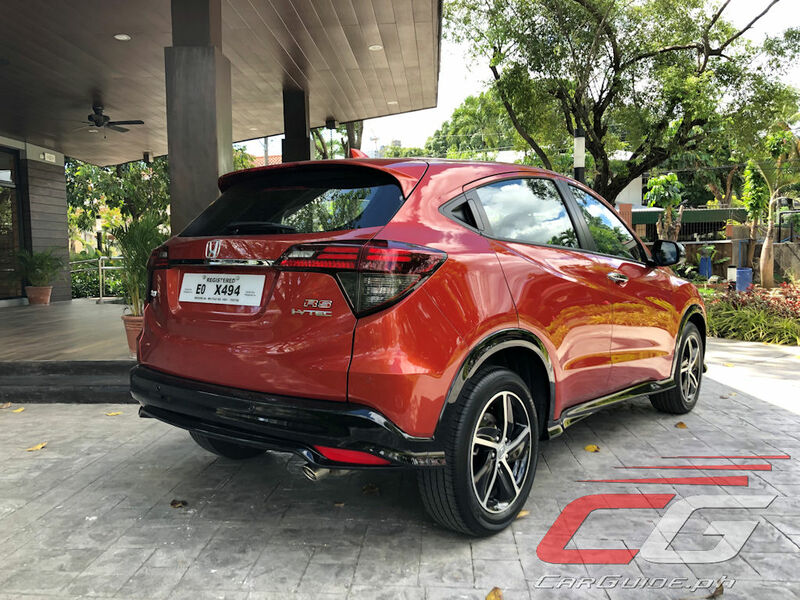 In recent years, there has been a steady growth in the subcompact and compact crossover category. The potential is real, with brands like Subaru coming out with the XV, Mazda introducing the CX-3, and even Jeep coveting a piece of the pie with the Renegade. One of the first players in this segment, Honda saw to it that the HR-V gets updated for 2019 with this one: the sportier-looking 1.8 RS CVT. 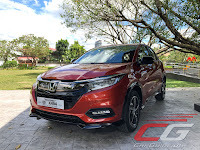 And spending more than a week with it, it’s clear that the HR-V still has what it takes to standout of this crowded segment. 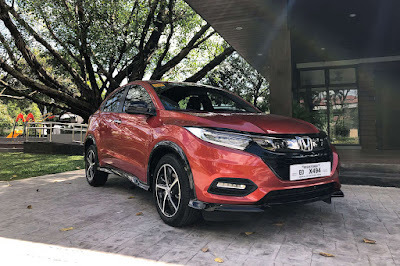 Despite the additional elements that were added to it, the 2019 HR-V RS remains the way a Honda should: built to be tough, solid, yet light enough to be favored by a female driver. 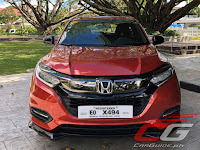 Its face takes cues from other well-loved Hondas, particularly other RS variants with its high-gloss black trimming, honeycomb grille, and 17-inch alloy wheels. The LED headlights with daytime running lights are now standard, adding to both the value and safety of the HR-V. 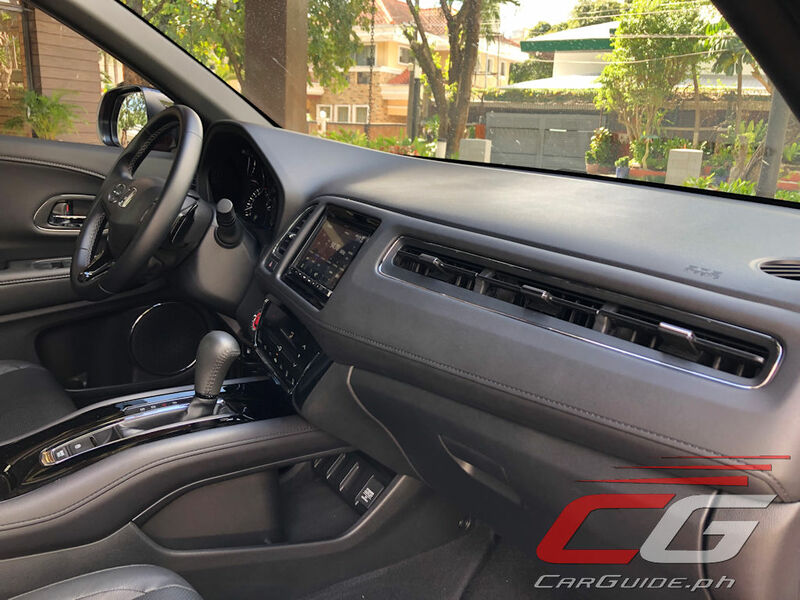 Enter the cabin, close the door, and you will immediately feel the solidity that’s close to that of a European car; that soft but satisfying “thud” as the door locks in. For a petite female, it was easy to settle into the driver’s seat. The raised edges of the seat are not too high and stiff, making it comfortable to slide into the space. A bit of a wiggle and you’re in, ready to save for some minor adjustments. 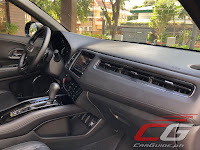 What’s always great about a Honda is they’ve taken into account a wide variety of users resulting in great visibility all around even for shorter individuals; unlike other cars where it’s a challenge to see out of, even at maximum seating height. 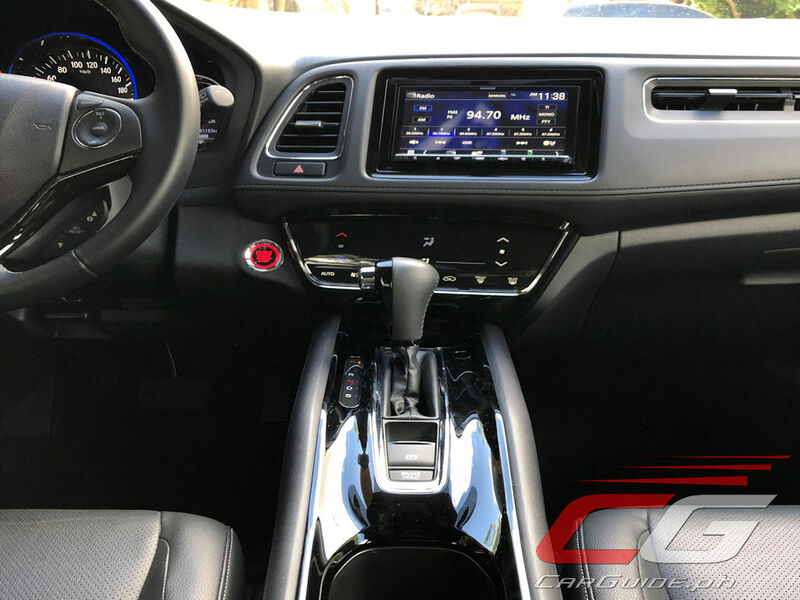 Despite being in the market for quite some time, the HR-V remains to have the best interior space in its class. 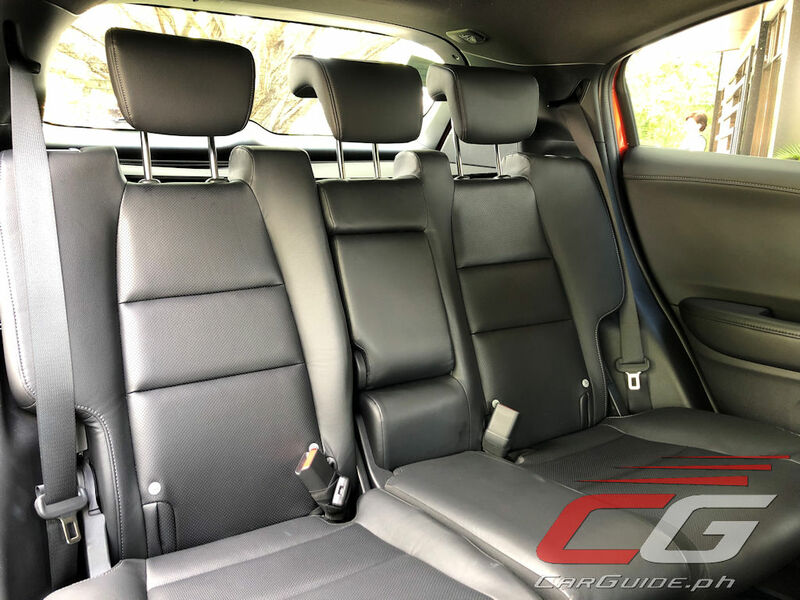 The backseats can easily accommodate 3 adults without having the front passenger sacrifice his or her legroom. 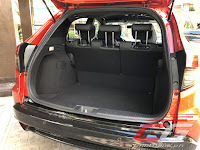 Honda also did not skimp on the boot space, an important consideration, especially for those with families or intend to use the car for out-of-town road trips. 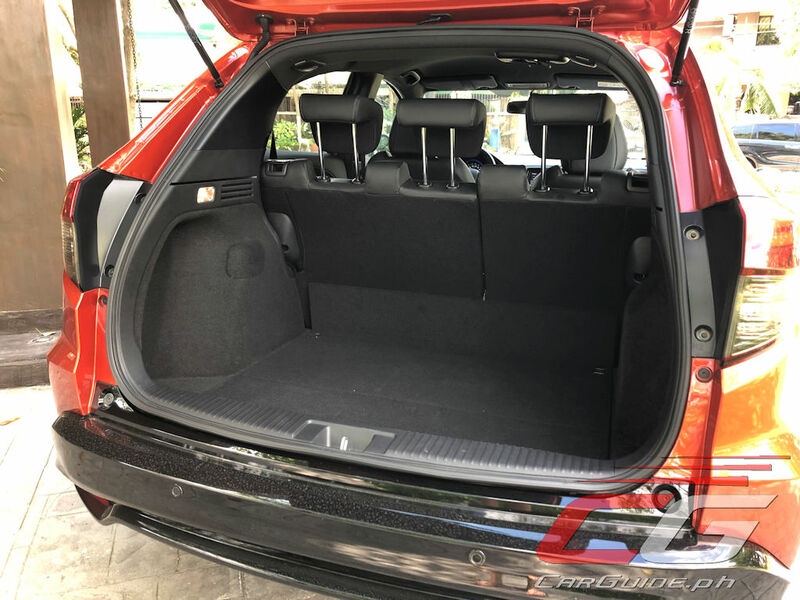 With the rear seats lifted, the cargo hold can accommodate up to 431 liters; and with the seats folded down, up to 1,665 liters. The fact that seats can be hidden away flat is an advantage, especially during the need to transport large bulky items. This feature maximizes the hold without having to consider lifted angles. Given that this is the RS variant, the interior is premium and plush. The steering wheel is just right and in keeping with the sporty theme, the center gear shifter and high console give it a coupe-like feel. 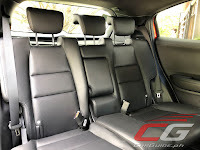 The soft plastics and plush leather also help uplift the cabin experience. New for 2019 is this revised touchscreen infotainment system now with Apple CarPlay and Android Auto. However, while all the controls are well laid out, the HR-V still falls short of practicality. Call it being nitpicky, but for the life of me, it was a complete challenge to identify where the USB port is located—a very important function given today’s smartphone addicted market. Having found is under the center console, the next concern is actually finding the right port. This means having to get out of the car and leaning down under the steering wheel with a flash light just to plug in a cable. This is alright for those who keep an extra cable in their cars, but for those who only use one, this routine can get tedious. Another feature that’s out of place is the air conditioning vent placements. 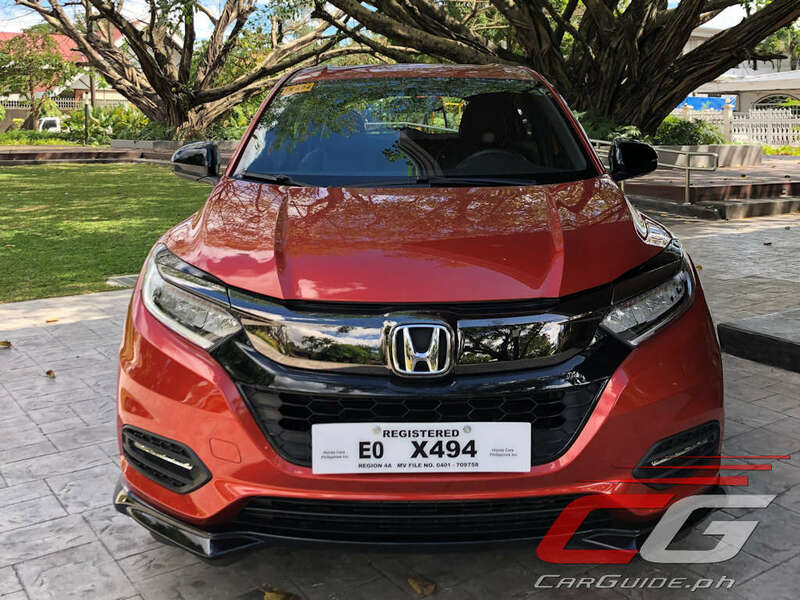 Instead of the standard placement, Honda opted to put 3 vents on the right side, almost at face level of the front passenger. 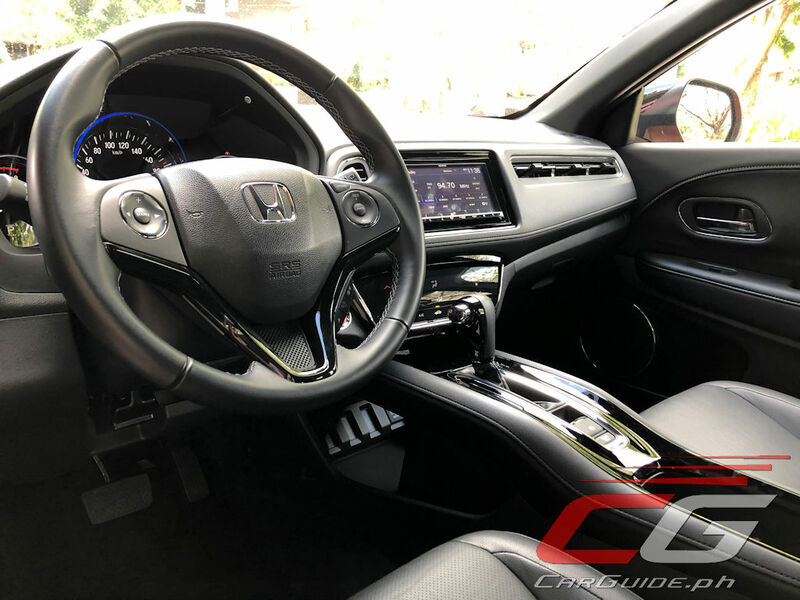 Honda says they wanted to maintain a coupe feel and that in their studies, the airflow can be evenly distributed by pointing the vents upward to help circulate the cool air to the backseat area via the curved roof. Tried that and nope, it doesn’t work. Perhaps next time Honda should consider a simpler, more straightforward design. When you get behind the wheel of the HR-V, don’t expect it to win races. 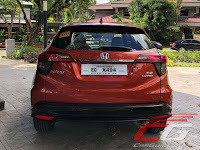 The 1.8-liter normally-aspirated engine and Earth Dreams CVT are just right for a smooth, jolt-free cruise around the city, but not much more. 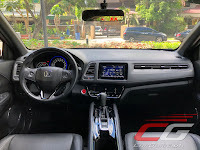 Still, as with any other Honda, the handling is tuned right with a light but precise steering, and safe and secure handling. Even the brakes are done excellently, easy to control and modulate. The signature Honda driving experience is alive and well here. 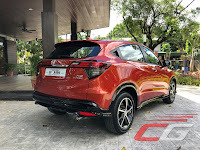 The 2019 Honda HR-V RS sets to impress, and it did. 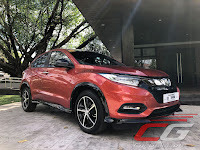 However, the question now is how much potential can it offer to the brand, given its lower engine capacity (versus Subaru’s XV and Mazda’s CX-3) and even internally against Honda’s own sought-after 7-seaters like the BR-V and even the CR-V, the latter of which is pretty close to the HR-V RS’s price range. 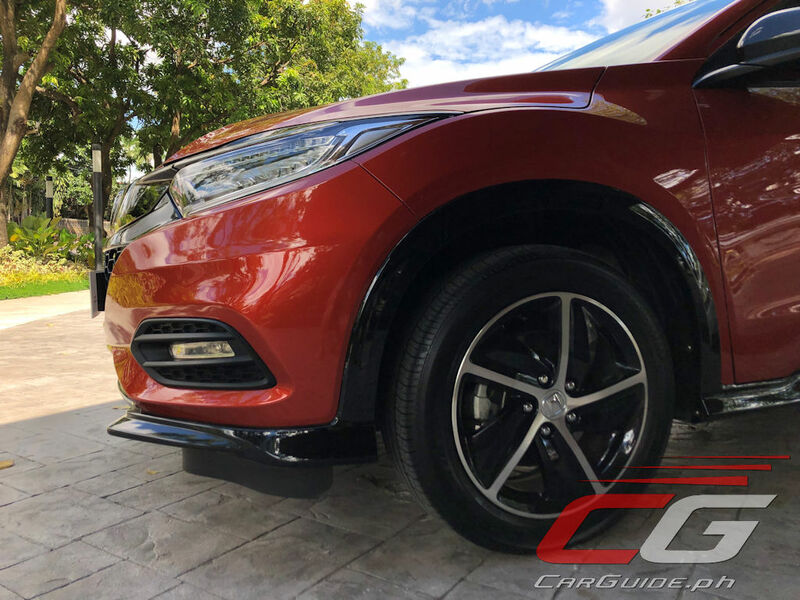 As it stands, the HR-V RS caters primarily to buyers who seek a crossover that’s not too small and not too big, but can still deliver a bonafide Honda experience. It’s for those who don’t need the flexibility of having 7 seats, but perhaps want something a bit more fashion-friendly. 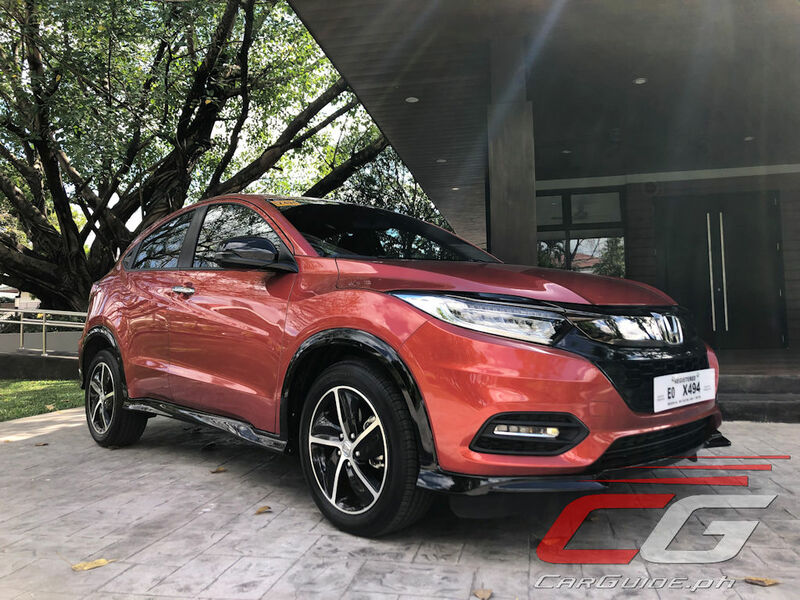 This is, admittedly, a very niche market and that’s going to be the HR-V RS’s biggest hindrance to mainstream success. 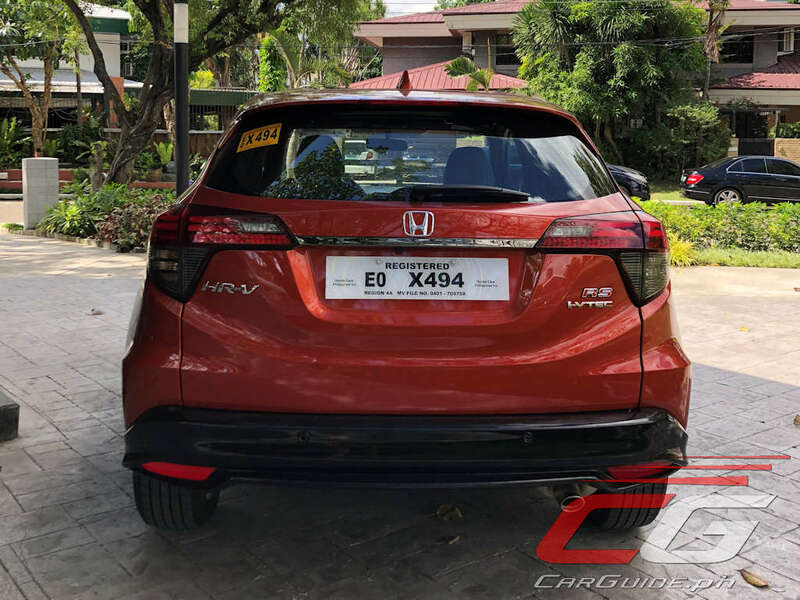 For what it’s worth though, the HR-V is worth of carrying the Honda badge and that’s reason enough for some to stand out of the crossover crowd. 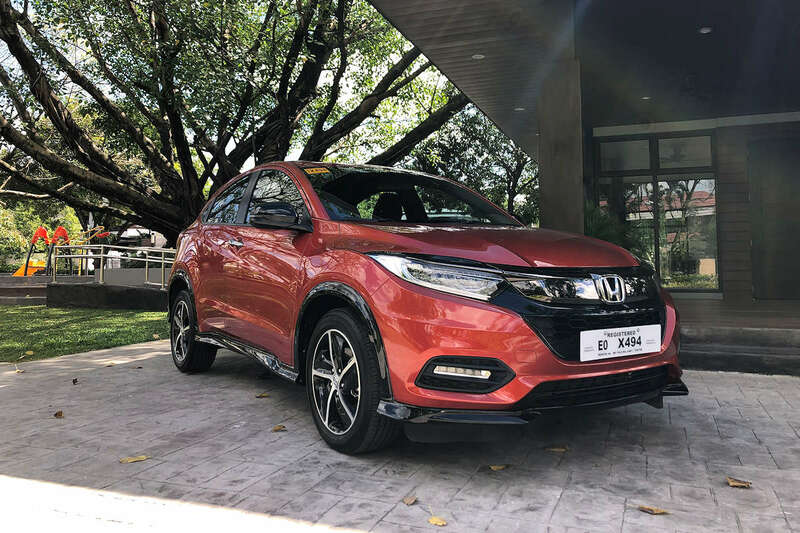 P1.5M for such a small suv is absurd. Subaru XV is bigger, awd and more prestigious at 1.4-1.6 not to mention the kona which is only 1.1. If you are not brand conscious, GAC GS4 is a better deal with 1.19M you get almost all the toys of this model, bigger than XV plus 18" wheel but no AWD unlike XV. What you don't get is a power socket and a nice entertainment system. Then again we are talking about Honda buyer here so I am barking at the wrong tree lol.